Last month the firedragon on the right sued the firedevil on the left. This month, the devil fired back. Sazerac at first alleged that the labeling on the left, for Stout’s beer-type product, is way too similar to Fireball’s appearance, as used for many years on its top-selling Fireball cinnamon whisky. Sazerac’s lawsuit is no big surprise because Sazerac is quite aggressive, Fireball has a lot worth protecting, and umm the products do look quite a lot alike to this casual observer. 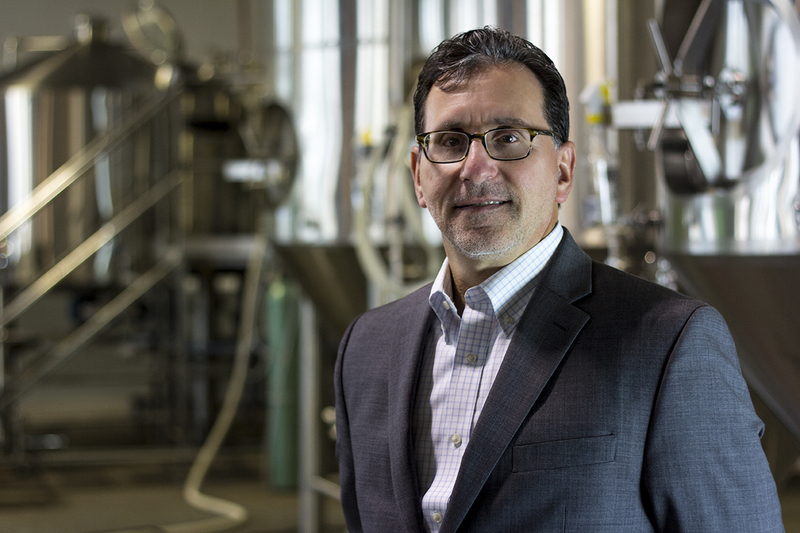 Stout tends to say the products are not alike (only one has a glass bottle, a devil, is beer-like, is American). But even Stout does not go too far in saying the products don’t look alike. Sazerac’s claims are barred because the term “fire” and all of the claimed elements of the alleged FIREBALL Trade Dress described in the Complaint are used so frequently by third parties in connection with products characterized by a cinnamon or spicy hot taste that consumers do not perceive them as identifying or signifying any particular source. The use of “fireball” to mean a spicy hot cinnamon flavor is widespread across all manner of foods and beverages, including alcoholic beverages. For example, Atomic Fireballs [were] introduced in 1954. The term “fire” is commonly used to refer to … drinks that have a cinnamon taste. Likewise, the use of “hot” colors such as yellow, orange, and red used with black, along with images of flames, other fire-related imagery, demons, or the devil himself, are so common as to be the norm in the packaging and promotion of cinnamon-flavored and hot and spicy products. The use of clear bottles to sell alcohol beverages is ubiquitous. The use of red caps is common. Stout then shows pictures for 17 products with such elements. I am not sure if this helps or hurts because — while the other ones do share many common elements, they don’t really look like Fireball to the same extent as the product at issue. Stout goes on to set out no less than 24 defenses, and three counterclaims. Stout attempts to characterize the Sazerac image as a dragon, even though it has plenty in common with your garden variety devil (tail, generally fearsome look). I have a bold prediction. 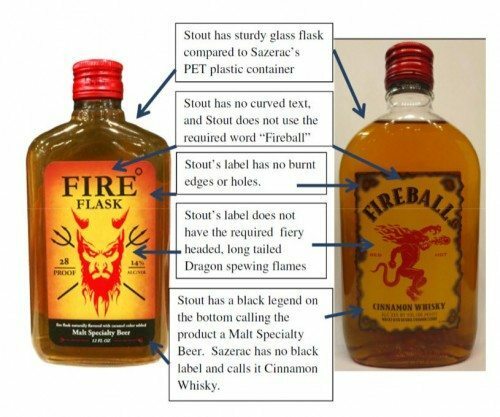 Fireball will not be changing its labeling anytime soon, and Fire Flask will. If it was the same product i could see the issue, but whisky is whisky and beer is beer. We have a lot of brand mimicking here especially with ‘own brand’ products being passed off with near identical packaging and I can see how it would irritate the branded company, but the cost of fighting every possible infringement set against the lost sales from people buying beer when they meant to buy whisky surely can’t be worth it?